Experts agree that the heat, buoyancy, and the swirling water of spas and hot tubs provide relief from stress, body aches, and fatigue. In fact, doctors recommend hot tub hydrotherapy for patients suffering from rheumatism, paralysis, and other ailments that involve the circulatory and nervous systems. In the long run, spas and hot tubs prove to be a healthier and cost-effective alternative to medications and hospitalization. That is why more and more people trust Sunshine Tree & Landscape for all their spa and hot tub needs. We offer a wide variety of spas and hot tubs according to your needs and desires. Our durable, long-lasting products are all designed for your utmost comfort and relaxation. With our partnership with the finest spa and hot tub manufacturer in the country, how could you go wrong? To ensure delivery of top-notch products and services, our company only teamed up with the best suppliers in the country. Choosing the best partner is difficult since there are a lot of companies providing spas and hot tubs. But two companies were able to meet our high standards – Master Spas and Leisure Concepts. With these companies, we become more confident that every project we handle will surpass our client’s expectations. 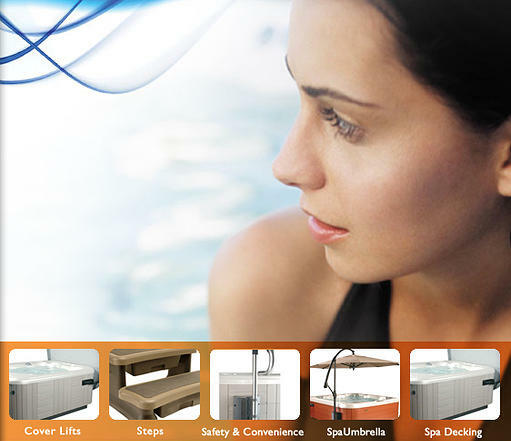 The products of Master Spas are truly world-class. They have decades of experience in providing state-of-the-art luxury portable spas and hot tubs for your maximum enjoyment. They are world renowned for their hydrotherapy spas, hydro-thermal hot tubs, and fitness spas. And to have that perfect, pleasurable experience, we recommend durable spa and hot tub accessories from Leisure Concepts, like spa umbrellas, to protect you from harmful ultra violet rays of the sun and cover lifts to keep off pets and unwanted debris on your spa or hot tub. Since we are installing portable spas, decking is a very important accessory. It provides a flat and level surface. We also recommend steps for easier climbing in and out of the spa or hot tub. Sunshine Tree & Landscape only employ highly qualified and certified technicians. We are aware that faulty installation can lead to damage on your home, spas, and hot tubs, and may even cause health hazards. Because your safety is our concern, we see to it that our people are kept abreast of the latest technology regarding spas and hot tubs installation. Let our company give you the best spa experience that you truly deserve. Contact us now for more details on our various spa and hot tub products. If you want to know more about our partnership with Master Spas and Leisure Concept, read on and find out why we have chosen their products. Master Spas welcomes you to the world of ultimate relaxation. Nothing compares with the soothing feeling of sliding into the warm, swirling waters of a portable spa by Master Spas. And after a hard day of work, the therapeutic effects of a hot tub can’t be beat. Master Spas, we worked for nearly 30 years to perfect your spa experience. Each design is master crafted to achieve enhanced, innovative therapy and high tech advancements in construction, performance, insulation, filtration and heating systems. Master Spas has a hot tub to fit every need. From the smaller LSX 557 up to the new LSX 1000 there’s a spa just your size with the legendary therapy and quality Master Spas is known for. At Leisure Concepts, we believe in making the highest-quality line of spa and hot tub cover lifts, steps and accessories in the industry. It’s a commitment that drives us to deliver innovative, stylish and durable products designed to keep your customers happy and your dealership successful for years to come. Please click on the picture above to learn more.